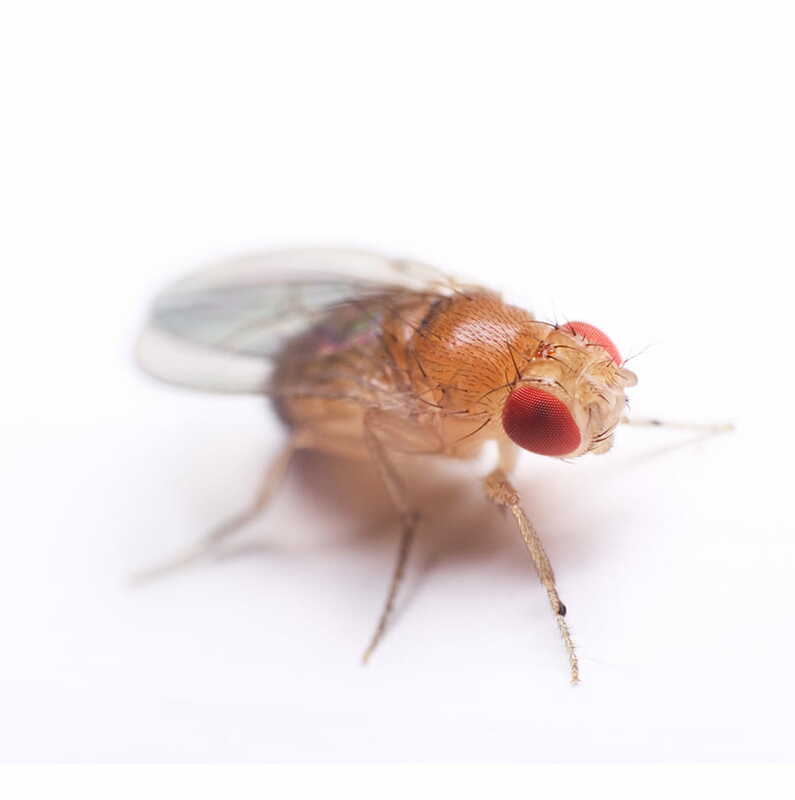 Fruit flies are an indication of decay, and carriers of bacteria and viruses when they come in contact with anything within the property as they feed on rotting food. 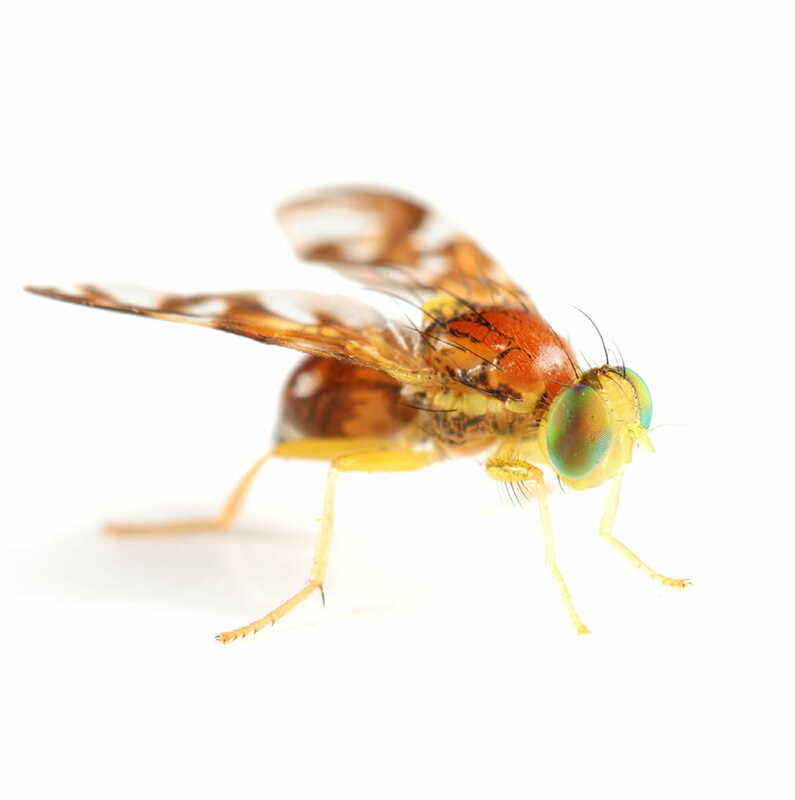 Fruit flies are yellow-brown with brick red eyes. They are commonly found near fermenting waste material, especially fruit and vegetable matter, as well as areas where soft drinks, alcohol, beer, ice cream and fermenting flour are found. Fruit flies are yellow-brown with brick red eyes and have transverse black rings across their abdomen. They exhibit sexual dimorphism: females are about 2.5 mm long and males are slightly smaller. Males are easily distinguished from females based on colour differences as they have a distinct black patch on their abdomen. Males also have a cluster of spiky hairs surrounding their reproductive organs. Fruit flies are commonly found near fermenting waste material, especially fruit and vegetable matter, as well as areas where soft drinks, alcohol, beer, ice cream and fermenting flour are found. Garbage and recycling bins are ideal locations to breed. Female fruit flies will lay about 400 eggs, five at a time, into rotting fruit or other suitable where moisture and yeast are abundant. The eggs only take 15 to 30 hours to hatch. The developmental period for most fruit flies varies with temperature, ranging from seven to 11 days. Under crowded conditions, development period increases, while the emerging flies are smaller. Depending on the condition, fruit flies live for about 30 days. How do l recognize a fruit fly? Fruit flies are yellow-brown with brick red eyes and have transverse black rings across their abdomen. They exhibit sexual dimorphism: females are about 2.5mm long and males are slightly smaller. 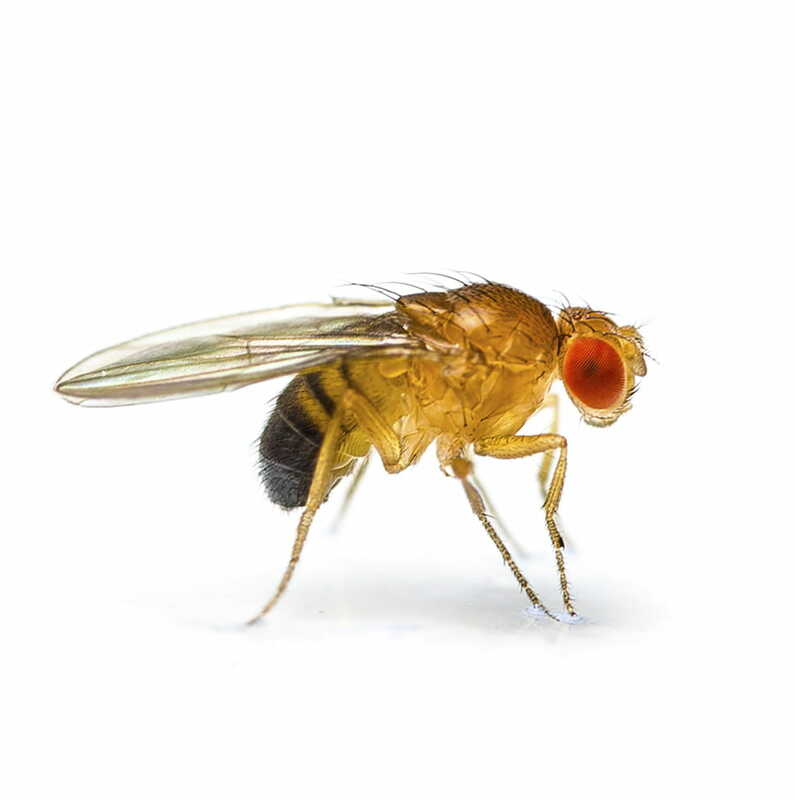 Are fruit flies dangerous to humans? Where do you find fruit flies?